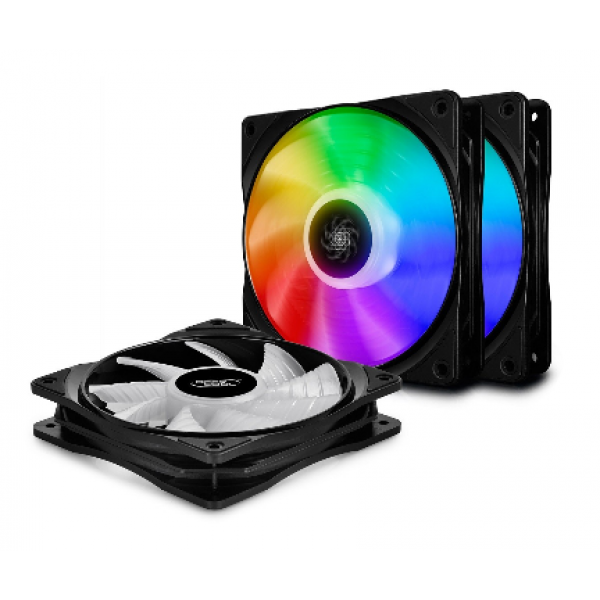 Deepcool has a wide variety of heavy-duty and cost-effective case and CPU fans. Its LED range combines both power and aesthetics. 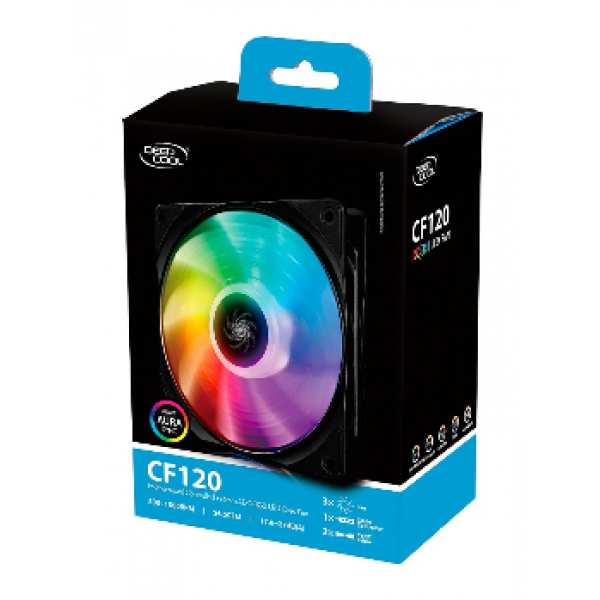 Each Deepcool CF120 comes with 12 independently programmable RGB LED lights with 8 colours to choose from. It has 3 dynamic modes (waves, cycles and breathing) to make-up an active display to improve your computing experience. The fan is automatically controlled by the motherboard, and the included RGB device allows you to control up to 6 A-RGB devices. Utilise 12pcs of independently programmable RGB LED lights, CF120 provides full lighting for your build, achieving magical lighting effects with MB controls include 3 dynamic modes(waves, cycles and breathing) and 3 monochrome modes (constant light, breathing and meteor), up to 8 different colours to choose from. 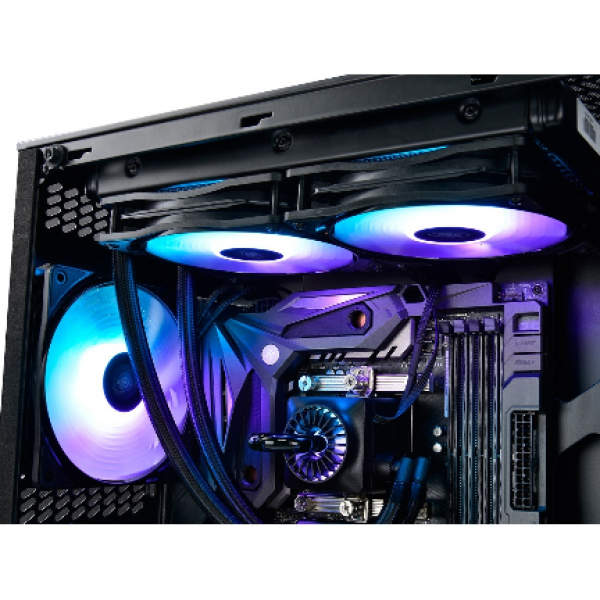 Use the included A-RGB Controller to control multiple Deepcool RGB devices, up to 6pcs. 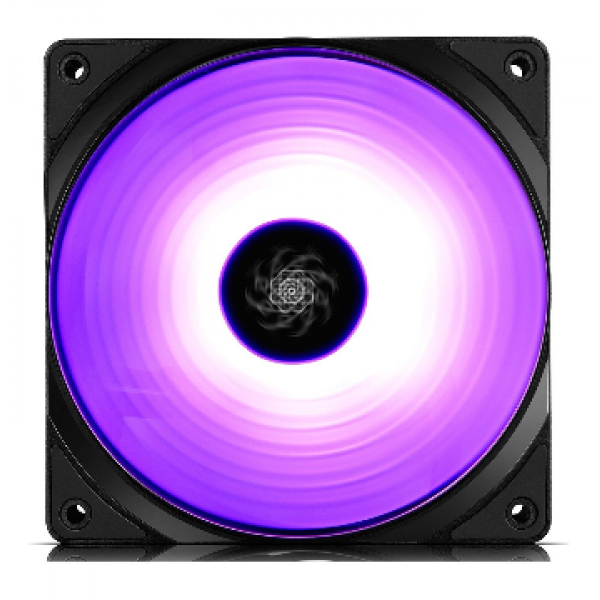 Better balance on air volume & air pressure, low noise, can be used as a case fan or CPU cooling fan. Fan speed can be intelligently controlled by MB in accordance with the temperature. 12 independently programmable RGB LEDs for amazing display effects. Can be easily controlled by the motherboard through a 5V RGB Header, so no additional controllers are needed, and can be easily synchronize with other A-RGB devices. A-RGB controller included in package for your convenience. Fan speed intelligently controlled by the motherboard in accordance with temperature. Can be used either as a case fan or a CPU cooling fan. WS2812B ADD-RGB LED controller is included and the following 3-pin ADD-RGB Headers are compatible with the device: 5V/D/G and 5V/D/NC/G (used for by mainstream M/B brands such as ASUS, Gigabyte).